If you’re familiar with how Amiigo works on BlackBerry and Android, you will know that Amiigo sits in the background and automatically intercepts calls where it can save you money. 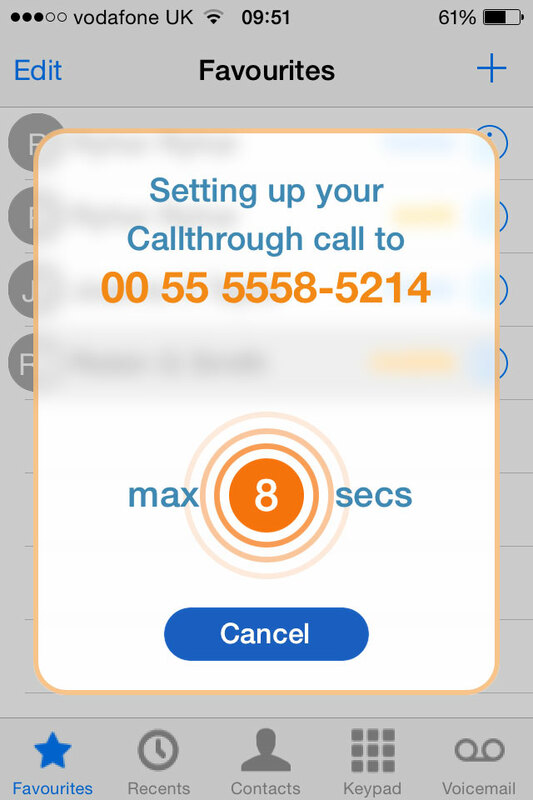 As iOS doesn’t allow third-party apps to intercept calls, Amiigo for iPhone is different. 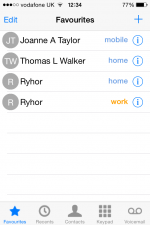 For iPhone, we’ve built a full replacement for the standard Phone app. 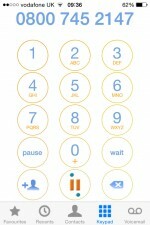 When you make a call, you will see whether Amiigo will carry it or not. If you look at the Favourites image below, you will see Rhyor’s entry for Home is blue, whereas Work is orange. What this means is we will save money when you call him at work, but not if you call him at home. 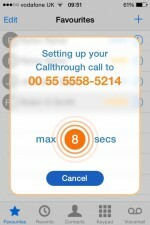 Throughout your iPhone you will see a mix of blue and orange, with orange showing where we will save you money. 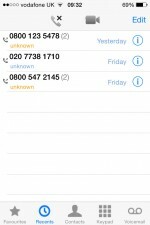 Even if you dial an ad hoc number via the Keypad, you’ll know when we can save money as the Call button will change from the usual phone symbol to the Amiigo icon. When your call is routed via Amiigo, we make it obvious we are carrying the call. Your screen will look like the image to the left. What we are doing with the Amiigo for iPhone app is making it as easy to use as possible. We hope you agree and that you will save a lot of money using it. For more information on how Amiigo will save you money, give us a call on 020 3432 3255 or click here and we’ll call you.